MapperKeeper makes it easy to build maps, write stories, and post them to social media with one click! MapperKeeper is an online platform for telling stories with maps, and then quickly sharing them with others. Create stunning maps using our intuitive online map editor. 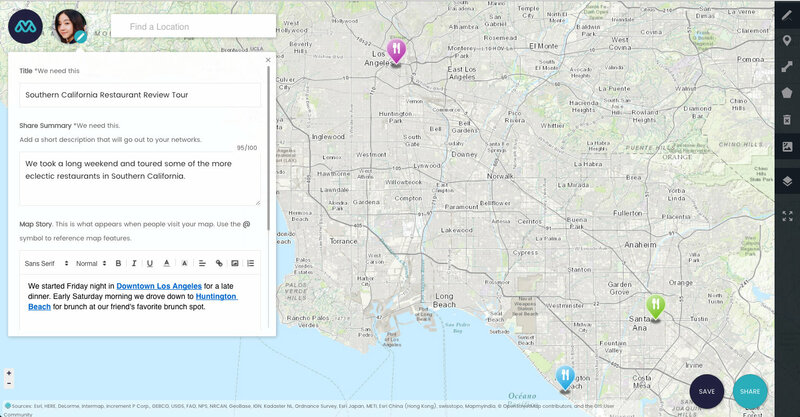 Share your map easily to all your social media accounts with just one click. Build a map. Write a story. Publish your creation to the world. 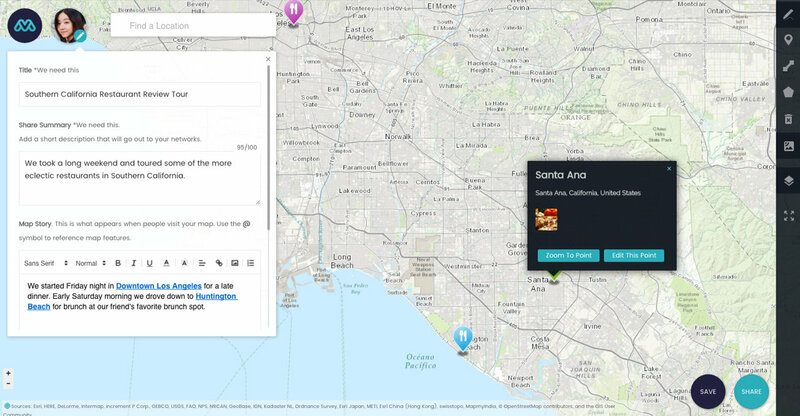 Create interactive links to features on your map using the @ symbol when writing a story. Link your social media accounts (Twitter and Facebook) to MapperKeeper, and sharing is as simple as one click. MapperKeeper will post a brief summary and image of your map to all your linked accounts. When you need to get your map shared in a hurry, there is no better solution than MapperKeeper! Mapping and sharing makes you happy.